By CNBC TV 18 . * Reuben Singh is an Indian-origin Sikh man, who lives in the UK. He first broke into the business at the age of 19, with a fashion accessories retail chain brand called Miss Attitude. * The business magnate is now the CEO of the alldayPA contact centre company, which was launched in 2000. This is alongside another private equity firm, Isher Capital. Reuben Singh has had quite a life. The Indian-origin Sikh man, who lives in the UK, first broke into the business at the age of 19, with a fashion accessories retail chain brand called Miss Attitude. The business magnate is now the CEO of the alldayPA contact centre company, launched in 2000. This is alongside another private equity firm, Isher Capital. Singh, dubbed as the “British Bill Gates”, is famous for his collection of Rolls Royce cars. The 42-year old businessman took the Internet by storm when he updated pictures of his six newly purchased Rolls-Royce cars and added them to his personal “Jewels Collection by Singh” fleet. It cost him just Rs 50 crore. While the rest of the cars were Singh’s purchases, the latest SUV Cullinan was personally delivered to him by the CEO of Rolls Royce, Torsten Müller-Ötvös. In a world where buying one Rolls Royce car is considered the epitome of luxury, Singh has purchased six of them but why would somebody buy the same car in so many different colors? Reuben became interested in Rolls Royce cars early in his days of entrepreneurship and began his spree of purchasing the exotic luxury cars. 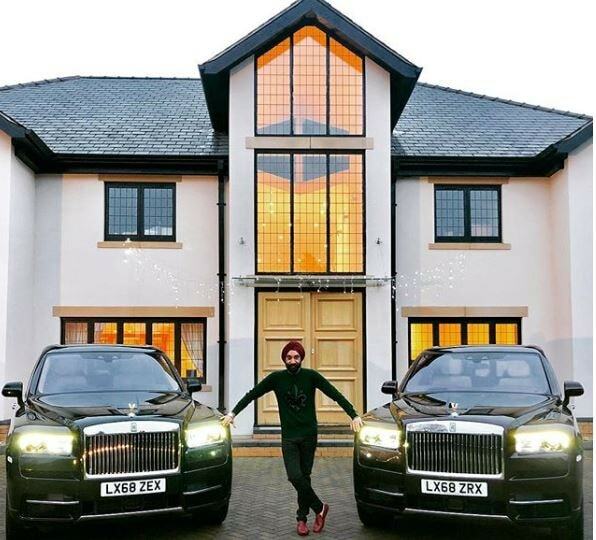 Just a little over a year ago, Singh had taken up the “turban challenge”, a charity initiative that had him matching the color of his turban to a different Rolls Royce for an entire week. Singh and royalty go hand in hand. The tale of his exemplary lifestyle is mesmerising enough to leave you cursing your daily 9-5 jobs.